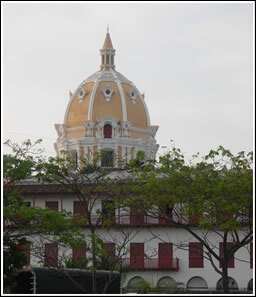 The 2010 International Institute on Peace Education (IIPE) took place in Cartagena, Colombia, from July 11-17, 2010. 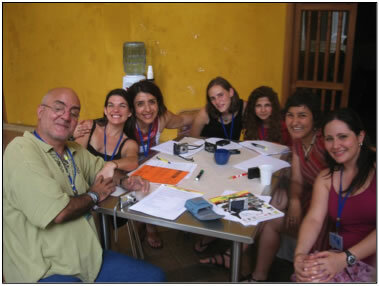 The Institute was co-organized by the National Peace Academy (home of the IIPE secretariat) and Fundación Escuelas de Paz in partnership with the Spanish Agency for International Cooperation and Development (AECID), the Colombian National Ministry of Education and a consortium of organizations invested in furthering peace education in Colombia. Taking into consideration the concerns and themes of diversity and inclusion, and the host region of Latin America, the organizers prepared the 2010 IIPE to be fully bilingual. This allowed the IIPE community to welcome participants and receive input from those who spoke either Spanish or English. To support this bilingual effort, some components of IIPE program were simultaneously translated while other sessions were translated informally through the aid of bilingual participants. The IIPE was founded in 1982 by Dr. Betty Reardon and faculty colleagues at Teachers College Columbia University and has been held annually in different parts of the world. 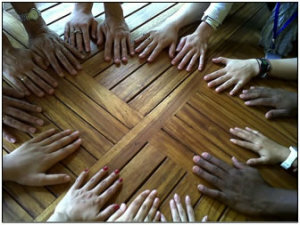 For 27 years the IIPE has been providing unique short-term, residential, cooperative learning experiences in peace education. The IIPE is not a conference but rather a “learning community” in which the organizers and participants work together to nurture an inclusive, highly interactive learning environment toward practicing a culture of peace. It is a multicultural and cooperative, intensive experience in which participants interact through plenaries, workshops, reflection groups and informal activities to learn from and with each other about substantive peace issues and interactive teaching approaches. The IIPE is also an opportunity for networking and community building among those who educate and work for a culture of peace in the host region and around the world. 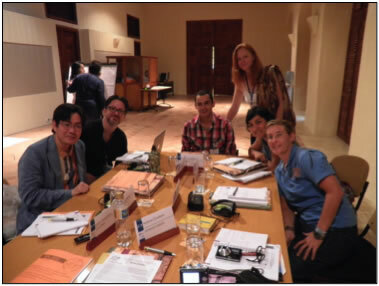 The theme that formed the common inquiry of IIPE 2010 was “Learning to Read the World from Multiple Perspectives: Peace Education toward Diversity and Inclusion.” This theme encompassed many of the concerns experienced by peace educators throughout Colombia and around the world. “Learning to read the world” is understood as reflecting multiple realities, including varied representative voices, and valuing limitless – even conflicting or contradictory – perspectives through participation in dynamic and fair, nonviolent exchanges. The processes of dialogical and reciprocal learning are as important as the exchange of best practices and alternative strategies in order to open boundless opportunities. Peace education is a multidimensional and interdisciplinary field that identifies issues, develops inquiries, and cultivates critical perspectives in order to nurture peacebuilding capacities and opportunities relevant across educational, social and political sectors of society. While traditional education is often oriented toward homogenization, peace education pedagogy intentionally practices critical analysis, learning tolerance and valuing differences, inclusion of multiple perspectives, and fostering of alternative thinking and strategies. While traditional education emphasizes learning the “right” way, peace education recognizes that there are many infinite and varied ways. These multiple ways are based on the fundamental assumption that normative knowledge-making comes about through equal participation and cooperative interaction so that there is potential for learning from everyone. As peace educators and peacebuilders, we need to learn from looking inward and articulating our reflections. Sharing these reflections in dialogue with others provides a means for our experiences to contribute to shared knowledge. We read the world as particular humans with specific sensibilities into what peace learning involves. Each participant brings his or her own context-specific experiences and decisions that form the steps of their peace learning path. The reasoning and implications from each individual’s decisions reflect the dilemmas and insights into the shared human enterprise of peace learning and peacebuilding. IIPE offers the space to elicit these sensibilities, to take the time to reflect inward on our own practices, and reflect outwardly and compassionately in relation to others, so that we may all learn together. This reading the world in the light of the exquisitely human processes of peace is at once self-reflective and co-creative. The co-creative processes offer multiple opportunities for practicing the peaceful world we hope to see. By reading the world, the IIPE inquiry sought to address global problems that place the survival of all in jeopardy. The global culture of violence and the climate crisis require new approaches that must come out of a multiplicity of perspectives and inclusive dialogic grappling. Cross-global communication is essential to understanding how to address these problems that threaten the existence of global humanity and the life-sustaining Earth itself. The intentions of these critical debates are not to homogenize, nor develop a hierarchy of problems or solutions, nor even to change our individual priorities. Instead, the point is to challenge existing thinking and strategies so that creative, concrete, coordinated actions can be formulated. IIPE is a space to practice transnational, non-hierarchical, and complementary relationships in order to address these shared global problems, with each taking part from their our own locale, perspective, talents and working context. Specifically, through inquiry into the overarching theme, IIPE 2010 participants collaborated to identify, develop and strengthen national, regional and international networks of peace educators, with the capacities to influence public policies that reflect the needs and positive potential for inclusive and participatory governance. The practical objectives were to learn to create and facilitate dialogic opportunities, cooperative projects, and physical spaces for interaction amongst diverse and often excluded groups. In addition, practical pedagogical aims were to expand peace-learning practices in order to contribute human rights, inclusion, social justice, equity and ecological health as the goals of public policy. Education on all levels – formal and informal, life-long and intensive – is seen as the means for nurturing the capacities relevant to participation in peacebuilding for a sustainable, life-enhancing society. Multiple Realities in recognizing that violence is experienced in many ways: for example, not only through direct violence imparted through narco-trafficking and child soldier recruitment, but also through more indirect channels such as the violence that is imparted through extreme economic disparities and identity-based discrimination. Diverse Voices in recognizing the need to be inclusive of all socio-ethnic identities and cultures in the dialogue of peace. Inclusive and Varied Perspectives in recognizing the importance of nurturing understanding of multiple viewpoints and experiences in the process of educating for peace. It also implies a philosophy of cooperative and community-based learning. Infinite Opportunities in identifying the importance of alternatives thinking and developing context-specific approaches to peace education. Each day of an IIPE begins with a plenary session that provides common substance as a basis for community exploration and inquiry. Each plenary introduces a unique sub-theme for deepening the general inquiry. For the 2010 IIPE in Colombia, following is a list of the daily sub-themes introduced in the plenaries, the speakers and titles of their presentations, and questions generated by participants intended to deepen the learning community inquiry. How can the IIPE experience leads us to improve what we are doing in seeking to influence public policy? How can we unite the different peace communities (academy, grassroots education, action)? What tools should we use? How can we educate for moral equality? What is the difference between equity and equality? Are the problems of violence different in the world due to the context or do they depend on the human condition? What difficulties have resulted from interculturalism when working for peace? How do we build a culture of peace? How can peace education be more active, creative and inclusive? How can we adapt different teaching strategies to specific local contexts? How to talk to a public agenda when the government and policy makers are reluctant to these issues of peace? How not to stigmatize the concept of armed conflict? How to promote the desire to change people who do not perceive the importance of a transformation towards peace? 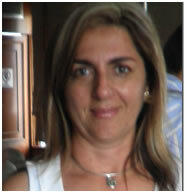 Maria Bernadete de Oliveira Rufino (Brasileira)- Mothers as educators: A new social actor in the scholar environment. How has the UN incorporated the gender issue within peace education in Colombia? What could we use, instead of cultural fetishes, to represent individuals and groups so that we do not validate their exclusion? How can human beings as individuals, nurture the desire for inclusion as part of human dignity? As a civil society, how can we work with families and schools to create inclusive environments to transcend dominant systems? As educators for peace, how can we make visible our own prejudices in relation to diversity, gender and inclusion? In Colombia the Congress has already institutionalized education in nonviolence – how can we articulate the process of training of teachers in Colombia in order to make that law a reality? How has the Philippines experience been in terms of not only children but also teacher’s formation in education for peace? How is historical memory assumed in the proposed peace education initiatives? Luis Javier Botero (Colombia) – Experience in Bellavista Penitentiary: Crime…is not worth it. What should we learn from the movements that resist totalitarian cultures? What are the sustainability strategies that have allowed them to continue in the story? What strategies do we have for sustaining ourselves when working in extreme situations? What are the strategies used by the green movement to support peace building in Iran? 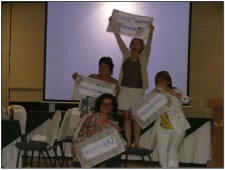 This final plenary session was followed by participant-led action planning for the application of learning. Sergio Michel (Mexico) – Building protected spaces through dialogue. Juan Carlos Rivillas Garcia (Colombia) – Mobile Units for the promotion of Human Rights and violence prevention: the experience in Antioquia, Colombia. Maria Teresa Hernández Yañez (Chile) – Settlement of Good Treatment from parental competencies. Lilian Vargas (Argentina) – Intercultural Programs with Toba Ethnic Group Members from the Resistance City: “From action to reflection and from reflection to action”. Actual applications. Muneer Panjwani (USA) – From Building Community to Ending Hate and Violence; Harnessing the Capacities of Youth To Create Positive Change. 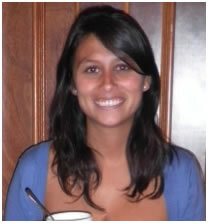 Jaime Restrepo (Colombia) – Engaging young people. 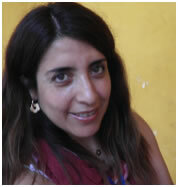 Luz Adriana Romero Fontecha (Colombiana/residente en Alemania) – Compass: Human Rights Education Manual with young people and a pedagogical experience for peace in Germany. “Reflection Groups” are the heart of the learning and community building experience, the base at which participants share daily learnings. Reflection Groups of the same 8 or so people meet daily to reflect upon their learning, challenge assumptions, and help each other to integrate new knowledge and experiences into their professional and personal lives. For the 2010 IIPE the Reflection Groups also served as a microcosm for exploring the issues of inclusion and diversity through language. Groups were comprised of a mix of English and Spanish only speakers with one or two bilinguals. Language represented a practical challenge for practicing inclusive learning and dialogue. Groups met these challenges by utilizing and sometimes inventing creative methodologies. Each year the IIPE features an excursion to provide participants with direct experiences in the host community – its landscape and the issues of justice and peace that its citizens are addressing. 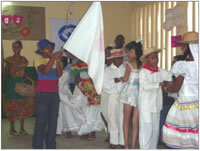 The 2010 excursion featured a visit with a project of Fundacion Plan (Plan International) called “Youth constructors of Peace.” “Youth constructors of peace” is a project whose aim is to develop participative processes with young people, with a preventive approach that promotes the peaceful resolution of conflicts. It wants to stir a citizenship consciousness to be able to act as beings that can help their communities to progress; to reach their goal, the project offers to youth opportunities to develop their skills as leaders in the work of training pairs. Simultaneously, it seeks the prevention of violent actions between youth and, more important, to promote its transformation into active participants in the solution of situations that affects them, in the pacific resolution of conflicts and in the construction of processes of democratic convivence and peace in the country. The project is inscribed as one of the fundamental strategies of Plan International. Camila is completing a Masters in Peace Education at Teachers College, Columbia University in New York. She also works at Genesis Foundation, a private foundation that provides education to poor children in Colombia and to the Latino population in the U.S. She has been three years at the fundraising office in New York, missing the monitoring work that she was doing in Colombia, a work that is really what she loves. Camila believes that besides being a place where we all have different experiences, the IIPE is a diverse community of people working towards the same goal. “It is a week of learning, of reflection and action, more importantly, a space to build networks to strengthen the peace field.” Camila remarked that the IIPE organization was very good “The plenary sometimes makes you tired. Getting creative and exploring the issues has been a very good component of the IIPE,” she added. Díaz shared the experience that she had on Tuesday. 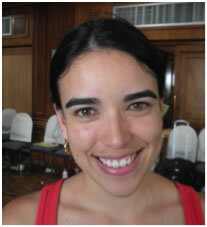 She attended Nube Sandoval´s and Yazmin Agudelo´s workshops because she was interested in the topics. On the one hand conflict reconciliation raised by Yazmin: “I was very interested to know how they are connecting care issues and reconciliation, especially as young people in Colombia are a bit forgotten population.” On the other hand Nube´s work with refugees: “To be able to see my body and to live in the space, with dance and theater, were things I had never experienced in peace education.” Camila believes “there is a time in which vulnerable populations must be reached with this kind of thing” with the enlightening experience of learning through the body. The Colombian Maria Claudia believes that peace must be a collective, intercultural and interdependent effort that put us all on the synchrony to preserve and maintain critically a possible world based on the principles and defense of rights.